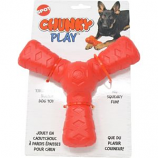 Groovy Play is a thick-walled rubber toy featuring Dura-Last Technology for a longer playtime. 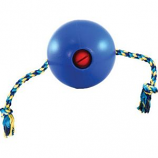 Grooves and holes can be filled with treats or peanut butter and the flappy tug straps are perfect for swinging, shaking or tug-o-war! 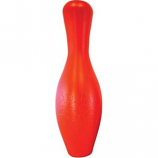 Extra durable water weighted toy provides hours of physical activity. 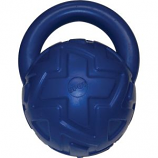 Just add water to adjust the weight of the toy for a great workout while having fun. Tuggo floats making it great for pools, lakes and beaches. 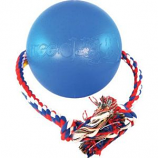 Rope tug is great for interactive play time. Designed with extra thick walls for rough and tumble play. The textured surface gives dogs plenty of grip for easy pick up. 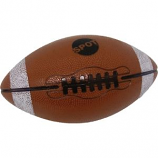 Throw in a squeaker and you've got the perfect tough toy! 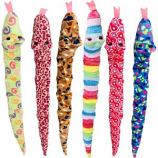 Nosey Pop promotes active and healthy feeding. Fill with your pet's favorite dry food or treats and watch the fun! 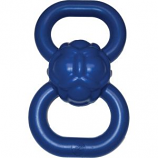 As your pet nudges and rolls Nosey Pop treats pop out with every push! How smart is your dog? 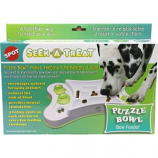 Find out with the Seek-A-Treat Puzzle Bowl! Make feeding time healthy and fun, Seek-A-Treat slows down eating and helps prevent painful bloat. 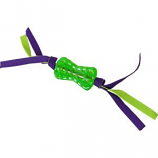 Encourages your dog's natural foraging instinct and provides mental stimulation. Wild, crazy and BIG fun! 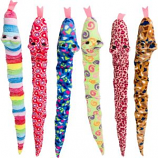 Super soft plush snakes filled with squeakers throughout for a slithery good time! 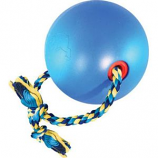 Great for tug-o-war, shaking or cuddling. Treat dispensing dog toy no dog can resist. Squishy texture feels good on teeth and raised numbs helps massage gums for a healthy mouth.